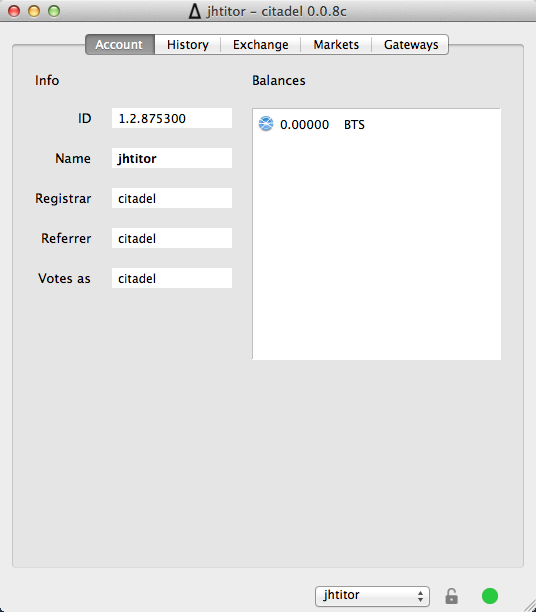 Here's the new BitShares Desktop Wallet, brought to you by the CITADEL. 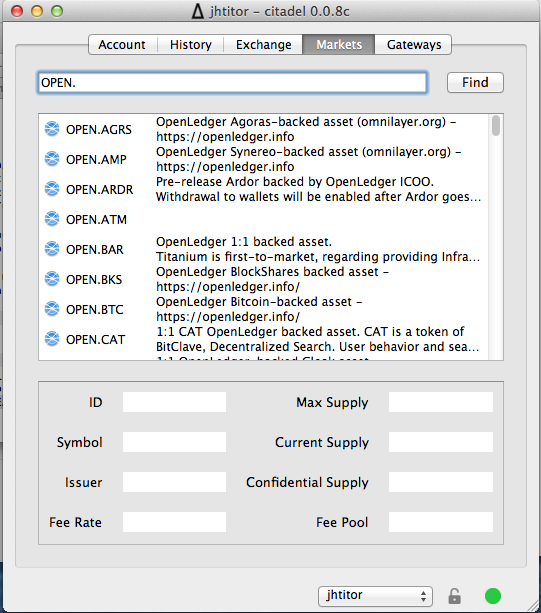 it's written in python, and is heavily based on xeroc's python-bitshares library, it uses QT4 for the UI, so it's easily portable to OSX, Windows and Linux. I'm providing builds for the OSX and Windows versions myself, and the Linux guys are supposed to use the source tarball. Please do not hesitate to ask any questions, and report bugs; this is a very RAW first version and we expect lots of failures and problems, to be honest. 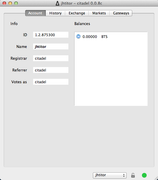 However, it already has quite a lot of features, including support for BitShares BLIND TRANSFERS (yeah!). nice work! stoked to try it out! The readme mentions Windows XP, you're not still using XP right? Time to upgrade or switch to Linux? Thanks. Not at the moment, not. I've tried to create a steemit account, but it requires a mobile phone number. This goes strictly against our whole ideology of the CITADEL - which is to use cryptographic and web-of-trust methods to gain reputation and respect; not by giving away personal information to unknown entities. That is why we have chosen BitShares AND Monero, as both of those align with our ideology very well. Steemit - not so much. Anyways, thanks for your comment and interest, I'll be happy to hear more of your feedback, obviously. Our main development platform is Linux. The Windows XP thing is just the lowest version we support; simply to give our users the widest possible choice. Forcing people to upgrade their computers/OSes is not something we have any particular interest in. 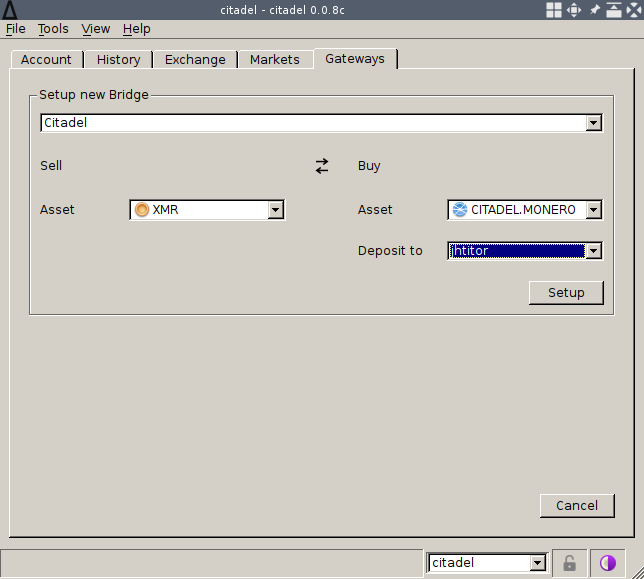 You can buy an account via the above, after changing the master password you'll have full control of the account. To be fair, eventually older operating systems which don't receive windows updates become highly vulnerable. It's likely that most XP machines won't get meltdown/spectre fixes for example. 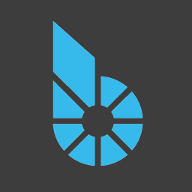 I've seen you contributed a lot in python-bitshares already and I am looking forward to working with you more closely in the future! sounds pretty damn sick. any of our devs able to vouch for the source? Ahh, excellent! Thank you very much for the heads-up! Yeah, no argument there. We just feel it's up to Microsoft and its users, not us. Thanks. The whole thing wouldn't be possible without your library. I'm going to throw some more PRs at you, and am too quite eager to work with you more closely. That is actually an excellent question, which highlights the importance of keeping your private keys to yourself. Please see above, xeroc's and abit's comment. Also, please don't hesitate to inspect the source yourself. We've kept ALL changes to the core library visible (checkout my fork) and the source to the client itself is short enough to skim through. When/IF those changes propagate to the upstream, there will be even less things to inspect/verify. 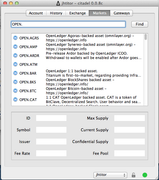 * Add ability to Sweep Private Keys. 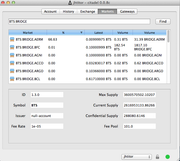 * Fix erroneous price display in Market tab. 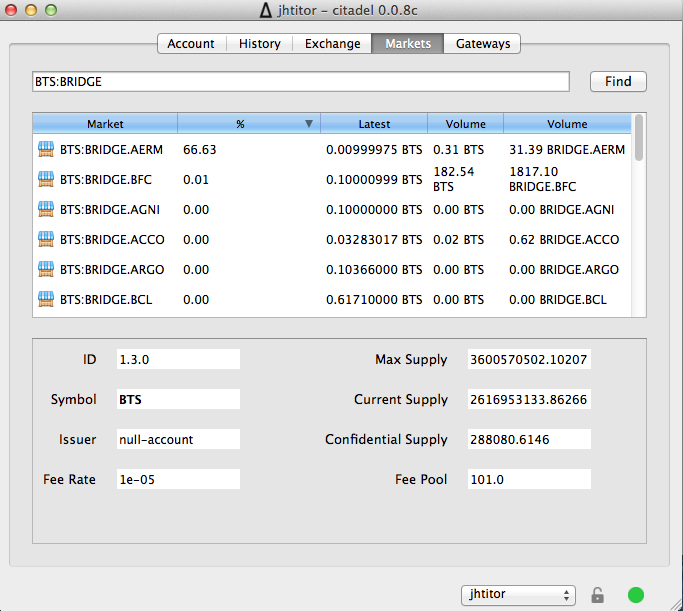 * Merge upstream python-bitshares to latest version. I've written a more use-friendly thread on steam, and you can checkout github for full changelog. Please do ask questions, report problems, and request features.